Although Boxer & Gerson, LLP specializes in representing injured workers who bring claims to receive workers’ compensation benefits when they are injured on the job, the firm’s larger mission is to help educate workers and employers about their rights and responsibilities to create a safe and just workplace. To that end, many of the firm’s attorneys spend substantial uncompensated time traveling to make presentations to workplaces, unions, business groups, and others affected in some way by workers’ compensation law. Boxer & Gerson’s Maria Sager makes continual efforts in this regard, recently traveling to various locales in the state to sit on panels featuring an attorney specializing in defending against workers’ compensation claims and a judge who hears such cases. The most recent such event occurred in Sacramento on April 29, when Sager joined defense attorney Yvonne Lang and California Division of Workers’ Compensation Chief Judge Paige S. Levy at a California Chamber of Commerce-sponsored panel discussion. The event, billed as a “California Employer’s Guide to Workers’ Compensation,” attracted an overflow audience. Sager had appeared in recent months at similarly structured events with different panelists, one in Berkeley and another in Santa Ana. 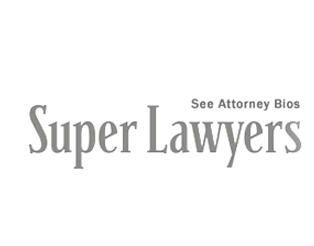 Both of those events were sponsored by the Community Outreach Subcommittee of California State Bar Workers’ Compensation Executive Section, for which Sager serves as the chair.